Cyprus is famous for its deeply Mediterranean cuisine with its host of sumptuous dips, mezze platters, lovingly prepared meat, fish, seafood and fresh fruit and vegetables. Eating and drinking is at the centre of every Cypriot’s social life and natives regularly engage in long meals and celebrations with their families and extended families. If it’s a rich, fresh and luxurious cuisine, and a romantic atmosphere you’re after Cyprus is definitely the place for you. However, despite all this it can be difficult to pin point which restaurants do in fact offer romance as well as an authentic cuisine as visitors are often taken for a ride in tourist hotspots. So before you spend hours searching away take a look at our list of the top 5 restaurants for romance on the island. As its name suggests this hotspot which sits right on the coast of Kyrenia offers a romantic experience like no other. With spectacular sea views, a luxurious yet clean and modern décor, this gorgeous location was awarded 4.5 stars on tripadvisor. Traveldk.com recommends this traditional taverna as one of its top ten restaurants on the island of Cyprus. If you’re seeking out a traditional Cypriot spot which offers breathtaking harbour views as well as delicious fresh fish, superb mezze and meat kebabs then this is the choice for you. Located directly on the water’s edge, Lonely Planet recommends this choice of restaurant highly and describes it as “a great place to dine in peace and watch the sea.” It also received four out of five stars on tripadvisor with reviewers commenting on its fantastic views, fresh tasty ingredients and friendly, welcoming atmosphere. Known for it’s trendy style and wonderful design, the Monte Carlo is a firm favorite for many frequent visitors of the island. If you find yourself in the ultra touristy spot of Ayia Napa, fear not there is a still a romantic restaurant to be found. Recommended again by Lonely Planet with views firmly backed up by tripadvisor, this location offers upmarket décor, views of the sea and harbour and mounds of fresh fish, meat and mezze dishes to name a few. A definite romantic escape for those in the clubbing hub of Ayia Napa. There’s a lot going on in Cyprus over the long weekend. The Chiaki Kamikawa Contemporary Art Gallery in Pafos is presenting a collection of photographs by Anna Wurth, which were taken near the Baths of Aphrodite in Polis, while Kyau & Albert will make a stop at Occhio Nicosia on Friday to promote their latest album. The Tour of Cyprus cycling challenge begins on Sunday as well. The extended forecast for Cyprus looks good over Easter weekend, with daily highs averaging around 23ºC and little to no rain in the forecast. 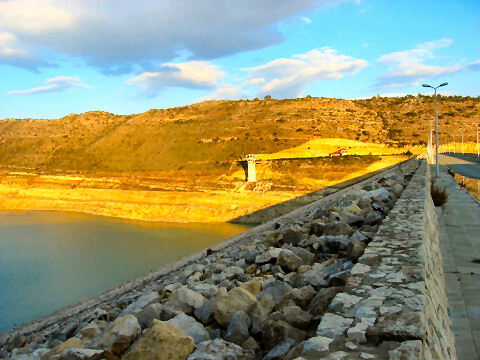 As such, you’ll likely be able to enjoy Cyprus’ outdoor attractions over your long weekend. Plan an excursion to visit the ruins of the Greco-Roman ampitheatre, Ancient Kourion, or the Byzantine churches in the Troodos Mountains. If you’d like to spend an afternoon at the beach, walk along the white sand shorelines of Nissi Beach or dip your toes into the turquoise waters of Fig Tree Bay. Of course, diving is a popular activity in Cyprus, as the island has shallow, clear waters that boast warm temperatures all year-round. Sunfish Divers, Dive-In, and Cydive are all reputable providers; just make sure to purchase travel insurance in advance so you’re covered if you have an accident on holiday. 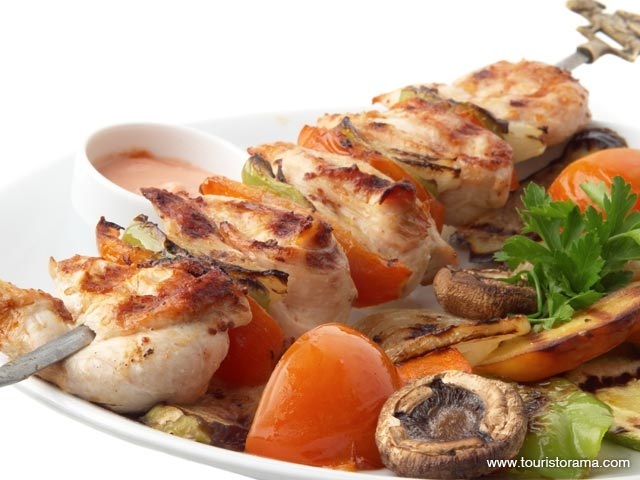 Cyprus is famous for its tavernas, which serve tasty traditional dishes. To Konatzi Tis Kallepias is consistently ranked as one of the best tavernas in Cyprus, while Mageirion to Elliniko in Pafos serves a tasty pera kebab and Koutsonikolias in Kalo Chorio offers salted lamb on charcoal. Make sure to order some traditional Cypriot mezedes, small dishes similar to Spanish tapas, and share them with your table before your main plate arrives. If you’re looking for something more innovative, try the offerings at the Mavromatis in the Four Seasons Hotel or the fusion fare at Beige in Old Town. Don’t return home without buying some souvenirs. The Handicraft Centres in Nicosia, Larnaka, Limassol, and Pafos boast a terrific collection of high quality handicrafts ranging from pottery to woven baskets to lacework. If you’re looking for clothes and accessories, head to Shacolas Emporium Park and the Mega Mall in Nicosia, or Ramazotti and La Mode Boutique in Limassol. Cyprus has been given the fashion seal of approval thanks to British designer Ada Zanditon, who chose to film her Spring/Summer 2013 collection here. With former resident Thomas Knights behind the camera and local assistants helping to complete the project, this was a collaborative effort that puts the island firmly in the spotlight. Staying in Pissouri, which she described as “rustic and charming”, Zanditon shot the fashion film Tigress Reign over five days with a small team, getting to know the locals in the village and also providing a cameo for the quad bike driver who guides the film’s two characters through the landscape. Director Thomas Knights was instrumental in choosing Cyprus as he grew up here at the Akrotiri military base. He enjoyed showing the rest of the team around his childhood haunts, such as the salt lakes next to Ladies Mile Beach, which became an ideal setting for parts of the film: “It’s a huge expanse of dry salt flat, with Limassol in the distance and Mount Olympus looming in the background.” The salt flats have become popular with kite boarders in recent years and are expected to become one of the island’s best destinations for trying out the sport, so it was fortunate that the crew had the area to themselves during the shoot. Thomas suggested Cyprus for the film shoot as its landscape in summer is “a bit like the Californian outback mixed with a Martian desert,” which then contrasts brilliantly to the vibrant and intricate pieces that Zanditon has created. The overall result gives the island an injection of glamour and its scenery makes a dramatic backdrop to Zanditon’s designs, which are all sustainably made in the UK and feature eye-catching prints and beautiful silks. One of the most striking locations in the video was stumbled on during filming. “We discovered an abandoned basketball court, part of a children’s playground in the hills close to Aphrodite’s Beach,” explains Ada, “The scenes we filmed there were stunning.” Everything was made possible thanks to the hard work of a small team including stylist Alexis Knox, with support from easyJet Holidays and Illamasqua, but the locals also contributed heavily to the finished film, with one Cypriot quad bike driver getting himself a starring role during an epic chase scene. The crew also made friends with many of the locals in Pissouri village, causing great excitement during their stay. When the video premiered at London Fashion Week its shooting location became a huge talking point, with many industry insiders keen to see Cyprus for themselves after watching it on screen. If it becomes something of a trend in the future to shoot on the island, just remember that Ada Zanditon was the one to start it. You can see the video for Tigress Reign on YouTube. Mount Olympus evokes stories of legend and mythical gods and it certainly is an awe inspiring peak. But what we often forget is that, where there is a mountain, quite often there is snow and from January through March the ski slopes of Mount Olympus are open for business. Here we will take a quick look at what this unlikely ski destination has to offer to the vacationing skier. 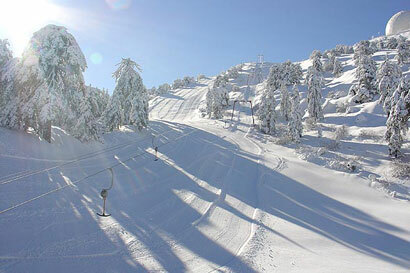 The Troodos Resort has 4 slopes named after the four Greek Gods, Hera, Zeus, Aphrodite, and Hermes. With names such as these one might feel intimidated but the skiing is quite manageable with pistes ranging from beginner to intermediate. If you’re looking for a great all-round destination that has something to offer everyone then Cyprus would make a great choice for your holiday this year! Whether you fancy a holiday by yourself or want to take the whole family, there will be a resort to suit you and with the beautiful weather, numerous activities and attractions boredom won’t be showing up anytime soon! If you live for nightlife then Ayia Napa is the resort for you! Located on the west coast of Cyprus, not only will you be able to enjoy the vast selection of bars and clubs that the resort has to offer but also the fantastic beaches and beautifully warm waters! For the best nightlife in Ayia Napa head on down to Monastery Square, this is where you will find some great bars and fabulous clubs that will keep you entertained throughout the night an into the early morning. One of the best clubs in the area if you want to listen to a bit of House is the Castle Club and for a spot of Grime make sure you check out the Abyss Club and Club Ice. Each are very well sized and offer cheap drinks by the jug full, however competition between the clubs is very intense to be prepared to be pulled around by the club representatives on the street who are desperate to get you in! The good thing about this is that you usually get free drinks if you agree to come into the club, however be careful as many of the drinks are spirits and cocktails, so it won;t take much to get you completely drunk! When it comes to beaches, Ayia Napa has some prime examples of how good the beaches in Cyprus can get, but make sure that you get there early, as good spots fill up fast and they can get very, very busy in the summer months when tourism is at it’s peak! But once you’ve managed to secure you’re spot, you’ll be able to enjoy beautiful sand, and clear warm waters where you will be able to take part in numerous water sports including jet skiing, para sailing, banana boating, snorkeling and even diving! But if you would rather stay on dry land, you’ll have plenty of opportunities to soak up the sun and just sit back and relax on one of the many sun beds that are available for hire, but don’t forget to bring your sun cream as the sun can get very hot especially in the summer, so protect your skin to avoid that unfashionable lobster look! There is also much more to help keep you entertained including a go karting centre, a water park and a spot where you can have a go at bungee jumping (if you dare!) and don’t hesitate to explore the area, as there is much to discover. No matter what kind of holiday you’re after, relaxing or active, Ayia Napa makes a great all round destination for everyone! What are the Common Cornerstones of Greek Cuisine? Greek cuisine has been used as the inspiration for many types of food around the world for thousands of years. Even Italian food, which is one of the most recognisable and most loved cuisines around the world, takes a lot of its direction and principles from Greek cuisine. What are the cornerstones of Greek food and how could you put together a perfect, Greece inspired meal? Greek cuisine tends to feature herbs and spices a lot more than other traditional Mediterranean cuisines. At the same time, where there is a heavy reliance on beef and other land sourced meats, particularly in Spain and Italy, Greek cuisine has a strong focus on fish and other seafood. Vegetables and cheeses are also important to Greek cuisine, however perhaps the biggest factor is how “original” and unrefined most Greeks like their food to be. This leads to more authentic, rustic recipes rather than the “globalised” foods seen in many modern restaurants in the Western world. Fish and cheese are the most common features of starters in Greek cuisine. Fried cheese in particular is very popular, and has somehow recently found its way onto the menu in Nando’s (South African and Portuguese, go figure). If nothing else it serves as a great example of the influence Greek cuisine has had globally. Kalamari and scampi are traditional fish starters, often served with Greek yoghurt or herb infused dips, although both are common features in main meals, too. Perhaps the best-known Greek dish that is eaten around the world is moussaka, although meatballs and slow roasted meats, particularly lamb, are hugely popular across the country. Many vegetarian dishes contain rice, and are often as basic as boiled vegetables, especially greens such as cabbage and leek, mixed with rice. Although this does not sound especially glamorous, they offer a traditional, nutritious, and tasty meal. When it comes to seafood, anything is on the menu. In some Greek communities it is as simple as whatever the local fisherman have caught that day, with lobster and mussels especially popular. Although many would go for the obvious here and plump for Greek yogurt, the most desirable deserts are probably delicious, pastry based dishes that also contain copious amounts of syrup and sugar based ingredients. Loukoumades, small balls of dough not dissimilar to doughnuts, are very popular, especially when covered in syrup or spices such as cinnamon. There are also many traditional desserts that are synonymous with special occasions, including vasilopita for New Year celebrations, and diples for Christmas and Weddings. Baklava is probably the Greek dessert dish most commonly made and recognised by Westerners. Touristorama helps you plan your vacation and holidays in Greece and the Greek islands. Greece is one of the most beautiful destinations for holidays in Europe. Time to Invest in a Cyprus Holiday Property? In recent years, a growing number of Britons have chosen to invest in a second home overseas, and their preferred locations have invariably been sun-kissed holiday resorts. Property developments from Alicante to Zagreb have attracted buyers from all over the UK and beyond, and in the coming months and years many more locations will no doubt tempt further investment. One of the most popular countries in which to buy second homes is Cyprus. This stunning island in the Eastern Mediterranean offers investors a wonderfully warm climate, even during the winter months, and the fact that it’s been a holiday paradise for many decades means it has a robust infrastructure that features a huge selection of restaurants, bars, clubs and of course beaches. Many people buy a second home in order to use it whenever they want, so if they are suddenly in need of a little rest and recuperation under blue skies they can simply book a last-minute flight and head to Cyprus. In just a few hours, they can be sitting beside their swimming pool enjoying a cold beer and topping up the tan, while wondering where to go for dinner later in the evening. For many other buyers, however, it’s the prospect of generating a regular income from the investment that appeals most. Renting out a holiday home can be a lucrative experience, and of course the owner can refuse bookings for any weeks during the year that they would like to set aside for themselves. If they manage to attract regular renters, they can make a tidy sum of money over the course of a twelve month period. Although Cyprus is home to some very impressive inland towns and villages, it’s the coastal areas that tend to attract overseas property buyers. 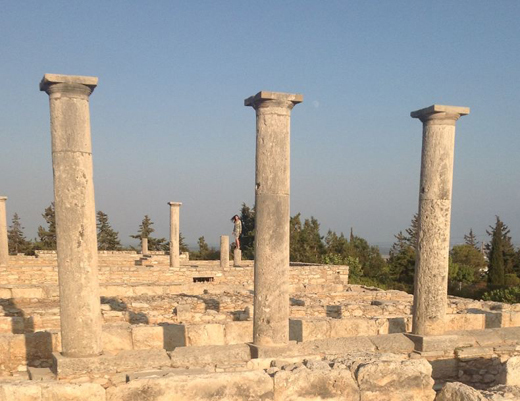 One of the most popular locations of all is Paphos, a wonderfully exciting town on the west of the island. It’s home to some highly impressive developments, and the local nightlife features some of the finest restaurants in the whole of Cyprus. There are several plus points about investing in this country, including favourable tax regulations that the government has put in place to attract foreign income. Buying second homes in some nations is a complicated process, but in Cyprus it’s relatively simple. It’s worth noting as well that the Cypriot pound is one of the most stable currencies in Europe. Nothing can ever be guaranteed about the future of a nation’s economy, of course, but it is fair to say there is room for at least some optimism. David Showell lives in the UK and is currently considering a future investment. He works for http://www.carhiredirect.co.uk. Cyprus is one of the best holiday destinations in the whole of Europe, and it has been welcoming tourists from all over the world for many decades. Whether you’re looking to visit some of the ancient monuments and historic buildings or you simply want to relax on a sun-kissed beach, you’ll find exactly what you need on this beautiful island. Located in the picturesque Eastern Mediterranean, Cyprus is a land of contrasts. Close to the areas of architectural interest you’ll also find state of the art hotels offering visitors the most modern facilities in which to savour a truly spectacular holiday, so it’s always worth doing a little exploring while you’re on vacation. The best option for those who want to see as much of the island as possible is to hire a car. Driving is easy in Cyprus, although every motorist needs to be aware of the rules of the road. In the towns and cities, traffic congestion can be an issue at certain times of the day, so if you’re able to avoid the rush hours you will miss the worst periods. That’s right – keep left! They drive on the left hand side in Cyprus, the same as in the UK but on the opposite side from most continental European countries. Roads are generally well sign-posted, but it’s important to note that speed limits are listed in kilometers per hour, not miles. Most signs are in Greek and English, although they may be in Turkish in some regions. There are very low drink driving limits in Cyprus, and severe punishments for those who transgress. The best advice is, if you’re planning to get behind the wheel, to avoid alcohol altogether on that day. Mobile phone use while driving is against the law, it’s compulsory to wear seat-belts and if you’re using a moped or motorcycle you have to wear a helmet. Because of the warm climate, especially in the height of summer, it’s a good idea to have a pair of sunglasses with you at all times. When the sun is low in the sky, or perhaps you’re driving up steep mountainous climbs, there will be times when your eyes need a little help. And even if you’re going on a short journey, taking bottled water with you is sensible. Throughout the island you’ll find plenty of petrol stations for when you need to fill up. Many of them have attendants who will pump the gas for you, although these are often closed on Sundays and Tuesday. A significant number of them are still usable, however, because they have automated machines that accept cards and, in some cases, cash. David Showell lives in southern England and works for a company that provides cheap ferry tickets to tourists. Cyprus is a smaller island in the European Mediterranean Sea, close to Syria, Turkey and Lebanon. It is an island characterized by an amazing mix between cultures, being strongly influenced by Europe, Asia and Africa. But Cyprus is also a place with a rich history, as many strived to conquer and dominate it along the centuries. Cyprus has been controlled by the Greeks, the Romans, the Byzantines, the Lusignans, the Genoese, the Venetians, the Ottomans, British and the Turks during the past centuries. And all these empires have left visible marks, influencing the life of the people living their lives on the island. Under these circumstances, it is quite interesting to note that the people living on the island are proud of their origins; actually, their national identity is quite strong, in spite of the population mixture. However, back in 1974 the island was divided in two parts, even though you can go to Cyprus and enjoy visiting both parts of the island. The time of the year when you decide to visit the island will influence the kind of activities you will want to do while being there. The most crowded month of the year is August, when thousands and thousands of tourists come to spend their summer holiday there. On the other hand, it is true that the costs are higher during the most crowded months of the summer. So, if you do not want to spend very much money, try to plan your holiday sometime from October to May, when the island is less populated. These months are perfect if you enjoy cycling, for example. You could choose one of the many bicycle itineraries and visit the Karpas Peninsula in the North, which is considered to be the most beautiful during the fall months, or simply walk in the countryside and admire the beautiful, varied colors of each season. If life brings you on the island during winter, you should know that it will rain most of the time; only at higher altitudes, like the Troodos Massif, you will have the chance to see some snow. Fortunately, you could ski on Mt. Olympus, which is located in the South, from the beginning of January until middle of March. Generally speaking, the summer on the island is hot, with many days hotter than 40 degrees Celsius / 104 degrees Fahrenheit, while the weather during winter is mild and quite pleasant. The sea temperature is above 22 degrees Celsius (72 F) from June to November, and close to 28 degrees Celsius (83 F) in August. You will discover the fact that the costs associated with spending your holiday in Cyprus are bigger or smaller, depending to what you are used to and the country where you come from. If you come from wealthier countries in the world, you will surely think that a holiday on this island is very affordable; nevertheless, if you come from less wealthy countries, you may consider the prices to be a bit too big. Despite all of this, the Cypriots’ hospitality is internationally known, and no matter how large your bank account is you will feel welcomed. And since this is an island where tourism is one of the main sources of income, it is no wonder that everybody will try to make you want to feel great there and return some day in the future. And no matter how big or small is your vacation budget, you will surely find a room or an apartment to match the needs that you and your companions might have. George Pirvu, the author of this article, works as a consultant for Thrifty Car Rental Sibiu, a vehicle rental agency in Romania. There are plenty of holiday destinations in all four corners of the globe, of course, but very few of them manage to offer visitors a pleasing mix of traditional and modern. Some are full of glass and chrome hotels that wouldn’t look out of place in a futuristic sci-fi novel while others are home to a number of ancient landmarks and historic buildings, but the local accommodation options are seemingly just as old-fashioned. Located in the sun-kissed Eastern Mediterranean, Cyprus is one of the few destinations that combine old and new in a seamless fusing that offers something for everyone. Many of the hotels, restaurants, bars and attractions in the island’s major tourist areas are wonderfully modern, yet they are often located just a short walk from areas of fascinating heritage. Everywhere you go in Cyprus, you won’t be far from reminders of its history. Among the more iconic sights on the island are the famous Painted Churches of Troödos. Consisting of ten churches and monasteries in the centre of the country, they are beautifully decorated with Byzantine and post-Byzantine murals. They serve as reminders of just how important religious worship was (and still is) in Cyprus. The rich murals are, even to this day, a wonder to behold. The town of Paphos lies in the south-west of the island, and it has become a firm favourite with tourists from all over the world in recent decades. Home to a number of ultra-modern buildings, it’s also the site of a great deal of archaeological activity. As well as the remains of landmarks such as theatres, churches and tombs, the mosaics of Nea Paphos are stunning, and are now a World Heritage site of exceptional historic importance. Paphos is also where Aphrodite allegedly rose from the sea, and as such the area has been of interest for many centuries. Yet, fully in keeping with the island’s reputation as a classic combination of old and new, the town is a hugely popular modern holiday destination. The resort itself is proud of the fact that it offers something for everyone, thanks to its exciting nightlife, its exceptional range of quality accommodation options and the beautiful countryside that surrounds it. First-time visitors to Cyprus can expect to find long sandy beaches, a fascinating sense of history, an enormous range of things to see and do, and a wonderfully slow pace of life that lends itself perfectly to a successful holiday. If you’ve never been before, it’s high time you made the trip. David Showell is a keen fan of history. He works for comparecarrentals.co.uk.